Blooming grass. 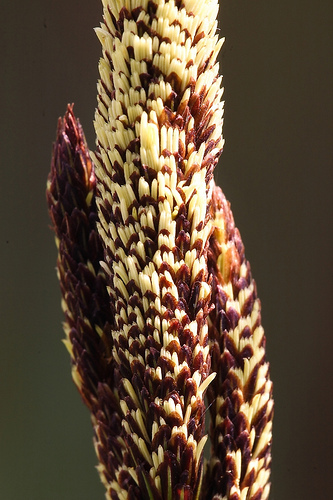 When grass blooms it is quite beautiful closeup. 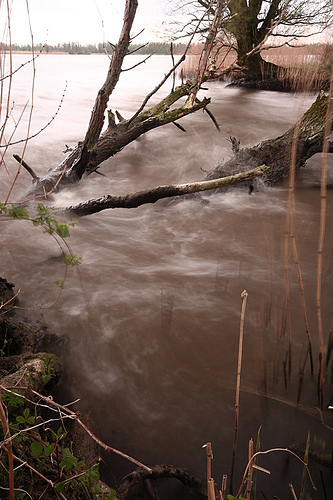 River in motion Using a neutral density and a polariser I managed to get the shutter speed as low as 8 sec. on this bright day. Then waited for some waves to hit the tree. 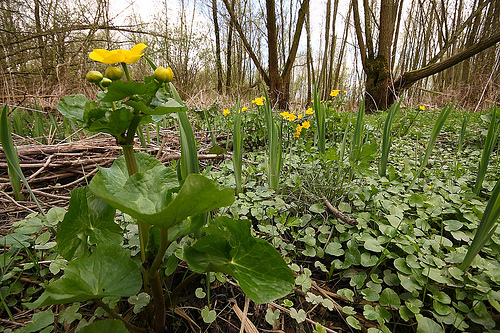 Marsh Marigold amongst willow trees and ground ivy. 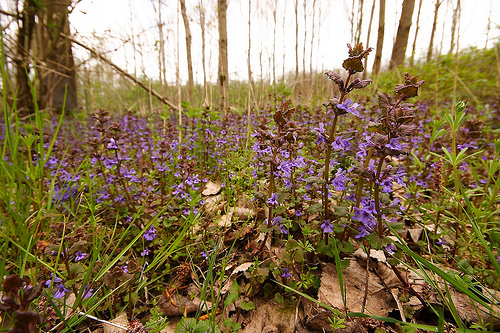 The Sigma 10-20mm extreme wideangle is a very nice lens. This image was taken flat on my belly, using an angle viewer.